Wallpaper borders are the element that can completely make or break the look of a room. While everything may be perfect, a mismatched wallpaper border can make the whole look go down! This excellent stylish wallpaper border can add an instant fashionable accent to any room in your home. 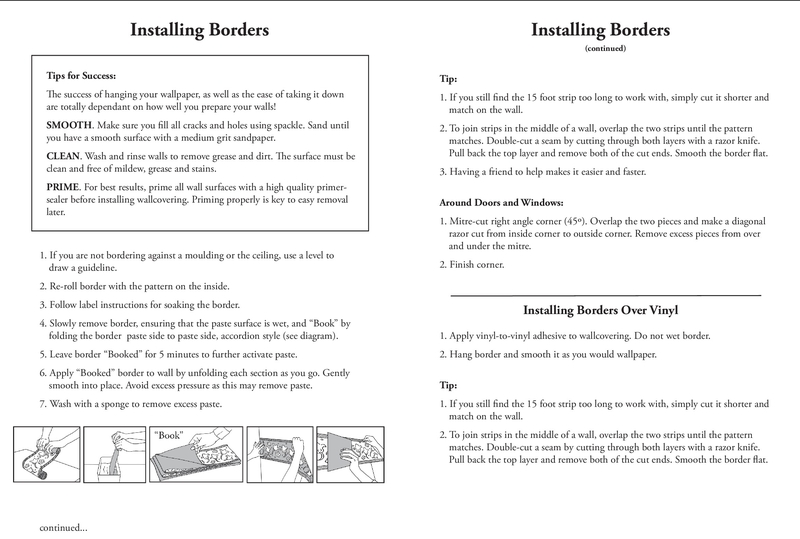 Very important thing while choosing border wallpaper is the design of the wallpaper border. Everybody has a personal sense of style and aesthetics and the wallpaper border must be able to project your personal taste and enhance the overall look of a room. This educational and kids-friendly dinosaurs wallpaper border has a perfectly pretty border design - it is decorated with unique labeled prehistoric animals, which helps to take room's style and appearance to the next level! It is important to pay attention not just to the color, pattern and design of the wallpaper border but also the quality when choosing wallpapers borders. It needs to be made of good quality materials that lasts long and is not damaged easily. Therefore, our wallpaper border is a perfect choice, as it is extremely high quality and made using only finest materials. The breathable material of our wallpaper borders ensures no risk of mold or mildew formation, which is bad not just for the wallpaper but also for the overall health and environment of the room. Moreover, this wallpaper border is washable so you can always ensure the perfect look of your walls because they can easily be cleaned regularly. Wallpaper borders bring color, character and detail to a room with exciting new look for your walls - easier and quicker then ever. Border can transform a room lifting it to a refined level of style, so do it with our beautiful wallpaper borders!